I have a cute bf....look! He also has a cool bathroom. Generally cool that man. 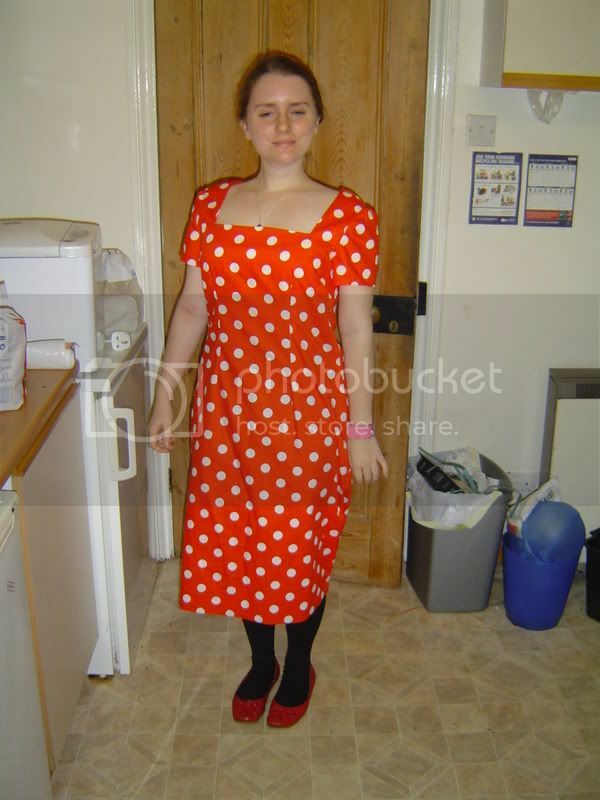 And this is a hand sewn minnie mouse dress. I have decided the skirt needs to be shorter, the sleeves need to be cap sleeves and I'm sat here right now taking in the darts.